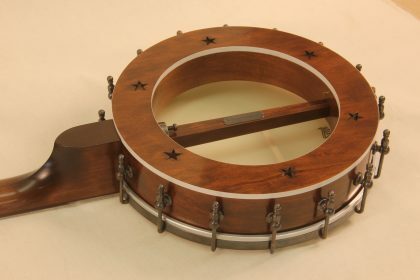 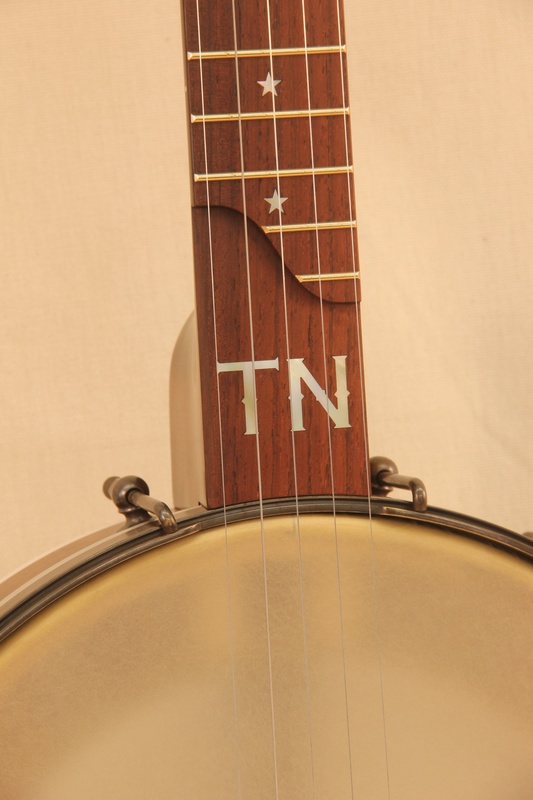 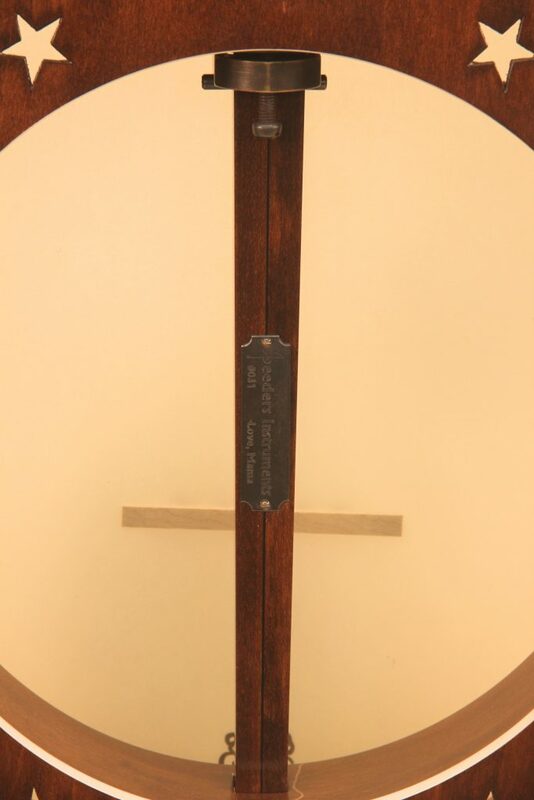 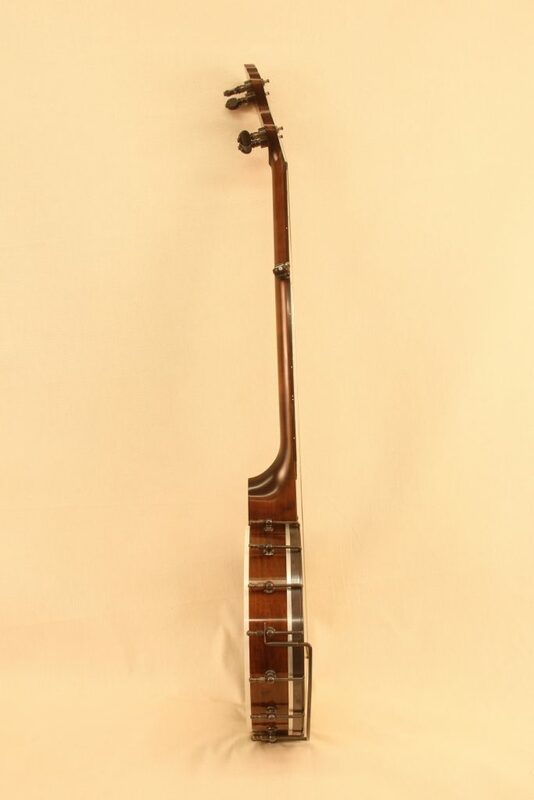 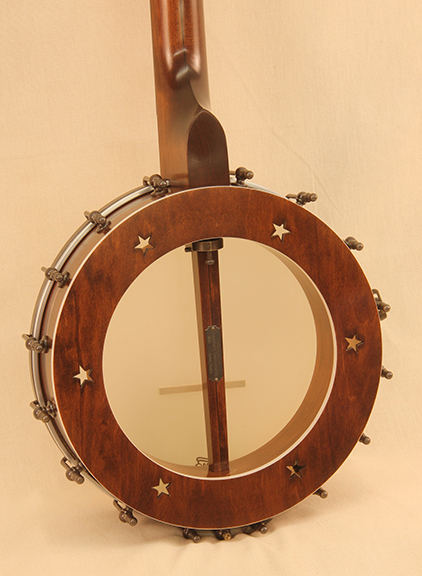 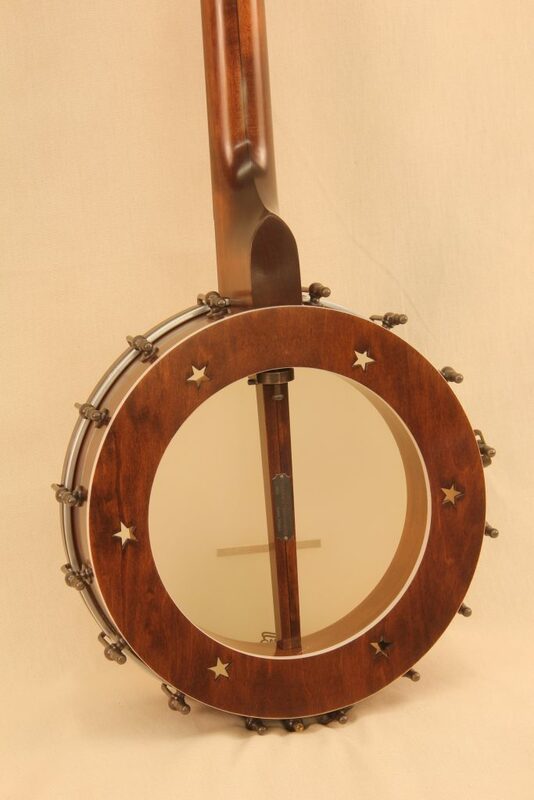 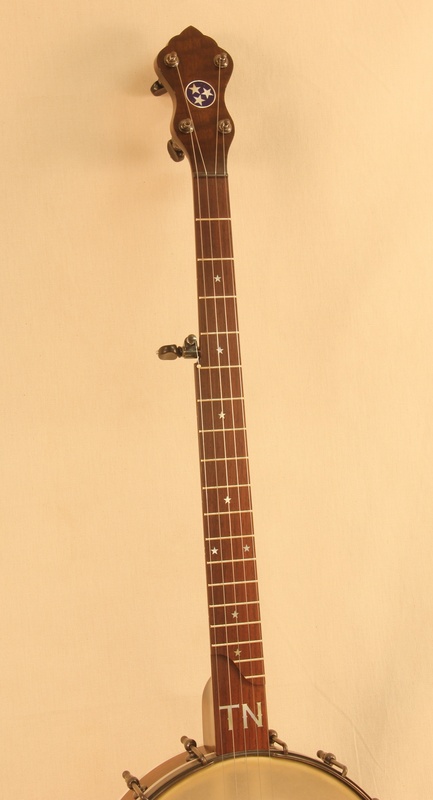 This banjo was built for a Tennessee native as you may be able to tell. 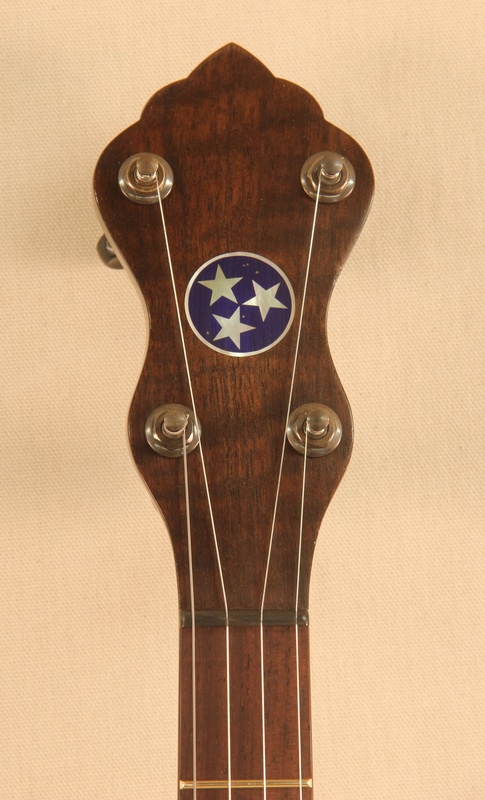 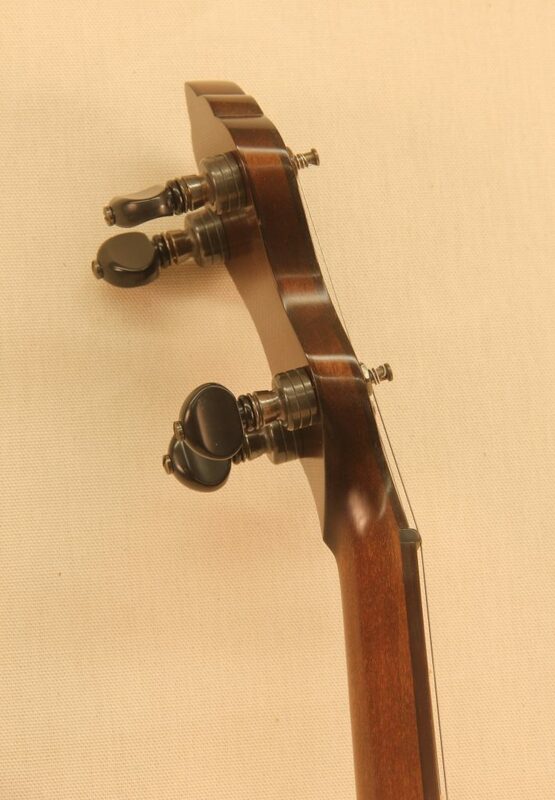 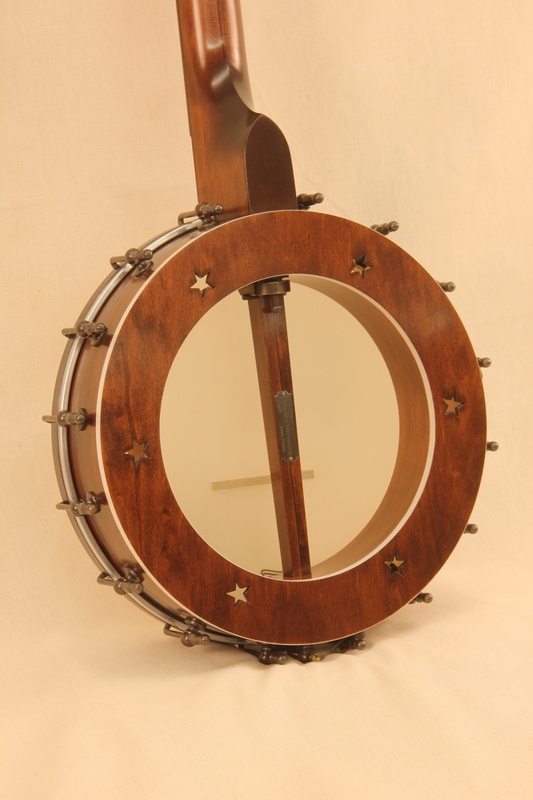 It features a Bacon style Internal Resonator rim with Tennessee themed inlays. 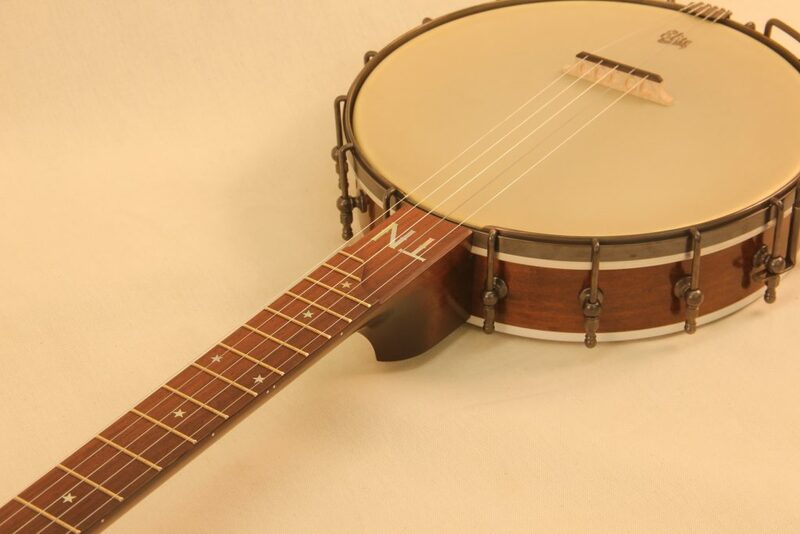 It has a big, dark, plunky and rich sound that you would expect from an internal resonator banjo with a 1/4″ brass rod tone ring.